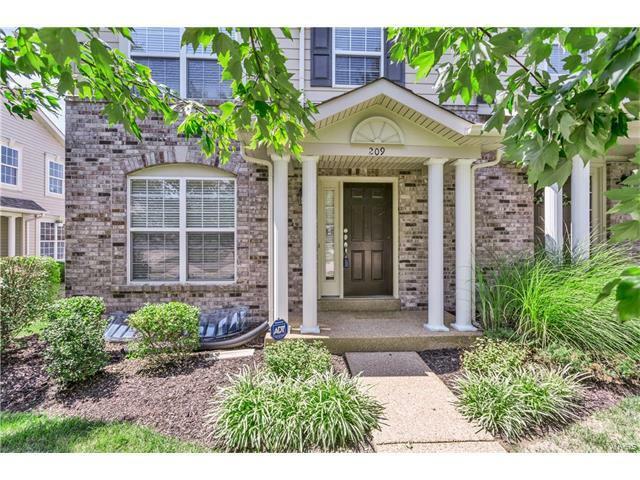 Fantastic opportunity to own a newer move- in ready townhome in Ballwin! This 3 bedroom home offers an open floor plan, freshly painted, new carpet, some hardwood floors, lots of windows for natural light to shine through, walk in closets, 2 car garage, and the list goes on and on. This home is the perfect place to entertain, as there is a separate dining area, breakfast bar, separate breakfast room, and appliances which stay with the sale of the home. Home is near great restaurants, shops, and the community recreation center. Schedule your private viewing today!